If you're working in the telco industry, you may realize an exciting race what is happening. It's the NFV Orchestration and Management (MANO) system. The origin of that is ETSI's work on the NFV MANO specification. After ETSI released the spec, many organizations have been trying to implement its own NFV MANO system including OpenStack Tacker, OPNFV, ONAP, and ETSI itself also adopted an open source project called Open Source MANO (OSM). I will explore a tool called VNF Descriptor Generator of OSM in this blog post. What is VNF Descriptor Generator? It's a web interface that helps you to generate VNF and NS Descriptor packages ready for launch (onboarding). 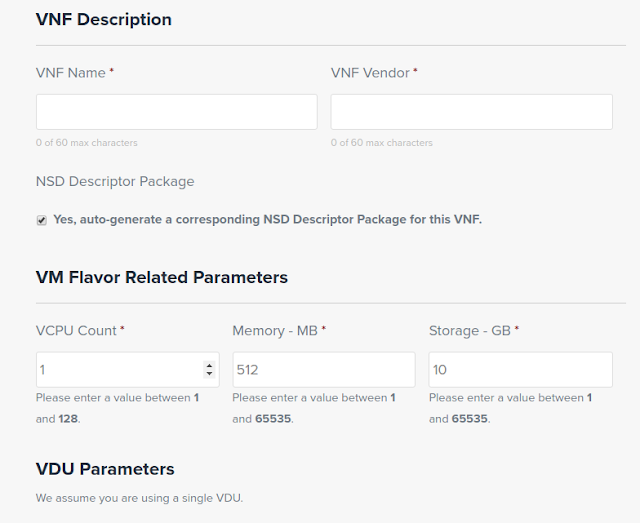 By filling out all the information of your VNFs in the web form, the tool will provide you a VNFD package and an NSD package for you to download. This helps you to avoid typos and misconfiguration when you have to prepare the package manually. I wrote a blog post about SSH tunneling 4 years ago at this. 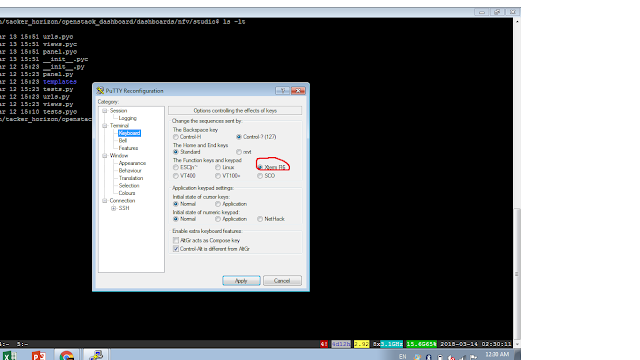 Today I will show you another trick that gets you into the server behind firewalls. 1. If the server you want to connect to doesn't have anything web or anything running on port 80/443, you just need to change its's ssh config to let sshd runs on port 80/443. 2. If your server already has a web or a server that runs on port 80/443, use another server that you can access from inside the network and free of port 80/443. 2018-03-09 01:51:42.468036 mod_wsgi (pid=21691): Target WSGI script '/usr/bin/keystone-wsgi-public' cannot be loaded as Python module. 2018-03-09 01:51:42.468106 mod_wsgi (pid=21691): Exception occurred processing WSGI script '/usr/bin/keystone-wsgi-public'. Then I figured out that the new release of mariadb/mysql (10.0.33-MariaDB-0ubuntu0.16.04.1 Ubuntu 16.04) uses utf8mb4 as the character encoding which uses more bytes per character than utf8. And the length used for the column or key repository_id is 250 VARCHAR and 4 bytes per character makes it longer than the limit allowed by InnoDB, which is 767. "Database returned an invalid value in QuerySet.datetimes(). " ValueError: Database returned an invalid value in QuerySet.datetimes(). Are time zone definitions for your database and pytz installed?